Ava DuVernay made history as the first woman of color to helm a $100 million-plus live-action film in A Wrinkle In Time, now she is set to direct the comic book adaptation of New Gods for Warner Bros and DC. 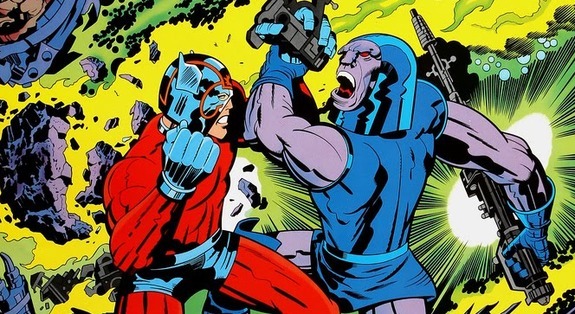 The New Gods was created and designed by the comic book iconic Jack Kirby, first appearing in the February 1971 New Gods #1. The studio is said to be moving quickly to find a screenwriter who will work closely with DuVernay. Her other credits include 13th, Middle of Nowhere, I will Follow, This is the Life, and the Oscar nominate Selma. Since Selma, the scale of films that she has been directing has dramatically increased, with this being her second 100 million-plus film. Many comic book fans have been calling for DuVernay to direct a comic book film, notably something in the MCU. She noted last year on social media that her favorite superhero is, saying, “Big Barda. Many reasons." Big Barda is one of the New Gods and is the wife of Mister Miracle, both created by Kirby. She first appeared in Mister Miracle #4 in October 1971. This is the second superhero franchise that Warner Bros. has handed over to a female director. Patty Jenkins directed Wonder Woman, which was a critical and financial success. She is currently working on Wonder Woman 2. New Gods will have no connection to the other DC films that are connected to each other, or the individual films that are currently being developed. Warner Bros studio head Toby Emmerich and DC production president Walter Hamada have been moving in a new direction and approach to filmmakers regarding the DC properties. The characters of the New Gods are often collectively referred to as “Jack Kirby's Fourth World,” which debuted in a trilogy of related comics written and drawn by Kirby and published in the early '70s: New Gods, Forever People and Mister Miracle. The New Gods are natives of the twin planets of New genesis and Apokolips and came into existence after the world of the Old Gods of classic mythology was destroyed during Ragnarok. New Genesis is an idyllic and lush paradise, while Apokolips is a nightmarish dystopia ruled by the tyrant Darkseid.